Established on 1997, the Albanian National Center of Cinematography (ANCC) is the only cinematographic public grant giving institution that finances, encourages and promotes Albania’s film production. The ANCC’s goal is to foster and support Albanian cinema, encouraging new visions and emerging voices. The decisions regarding the financial support of the projects are taken by the ANCC artistic and financial assessment Board. The Board is composed by members that represent the Albanian cinematographic associations. – The European Convention on Cinematographic Co-Productions. – A Government Cinematographic Cooperation Agreement with Italy. – A Protocol Agreement with the Apulia Film Commission. – Albania participates on the Creative Europe Sub Media Programme. 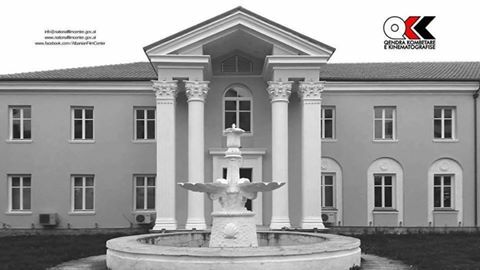 The 142nd Meeting of the Eurimages Board of Management will be hosted by the ANCC in Tirana 8th – 11th March. At the end of 2016 ANCC will host the “Balkan Pre-selection Screening Event” for Berlinale 2017. The ANCC launched the initiative “Balkan Film Forum”, first presented at the Rome Forum in November 2015. The ANCC together with the Macedonia and Bulgarian Film Centers is a founding member of the Balkan Cinema Cities initiative. • There are 60 film Production Companies registered by the ANCC that operate in Albania. • The Albanian Film Commission operates since 2003. • Seven Cinematographic Associations operate in Albania. ANCC is the sole administrator of the entire cinematographic production of the former Albanian State Studio “KINOSTUDIO Shqipëria e Re” 1952-1991. The Board awarded support to a total of 40 film projects. • 3 projects financed by the Apulia Film Commission as part of the project “Memory” – 3 short films 90.000 Euro. • The 142nd Meeting of the Eurimages Board of Management will be hosted by the ANCC in Tirana 8th – 11th March. • At the end of 2016, ANCC will host the “Balkan Pre-selection Screening Event” for Berlinale 2017. • The ANCC launched the initiative “Balkan Film Forum”, first presented at the Rome Forum in November 2015. • The ANCC together with the Macedonia and Bulgarian Film Centers is a founding member of the Balkan Cinema Cities initiative.